Three Players Chess Game !! 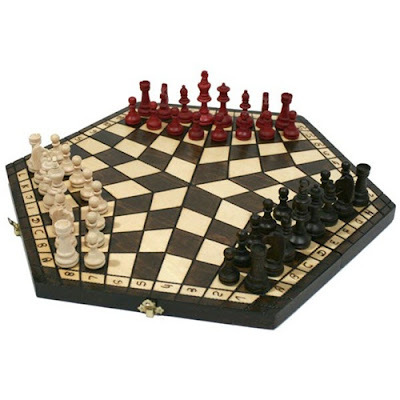 Three player chess is a family of chess variants specially designed to be played by three people. There are many variations of three-handed chess. 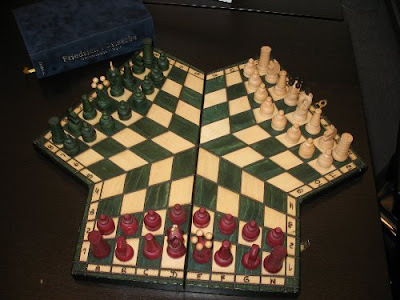 They usually use some non-standard boards, hexagonal or three-sided , connected in the middle in a special way.